Barney Greengrass, Upper West Side, Manhattan, c. 2005–2009. Uncredited photograph via Tumblr. Today, July 19, the author Norman Manea will turn eighty. He left his native Romania thirty years ago and since 1988 has lived in the United States. Although literary fame in America has thus far evaded him, he is admired by many writers and critics and has received dozens of international awards. Two years ago, an interviewer asked Manea if he thought “exile writing” had become a new, all-consuming identity. He responded, “Absolutely. It’s a new big chapter in contemporary literature because of the social-political situation of the planet. Migration is now accelerated.” Nevertheless, he was skeptical of labeling it a “collective identity,” in part because writing is such an individual act. 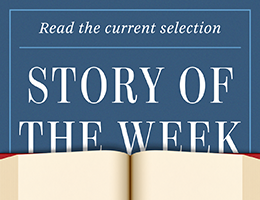 Our Story of the Week, “Barney Greengrass,” is the opening section of that memoir/portrait/life/novel, featuring a famous (real-life) novelist identified only by his first name.